Ric Lander is a fossil fuel researcher and activist based in Edinburgh. 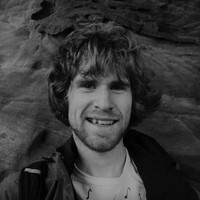 As well as Co-editing the blog Bright Green, he campaigns on sustainable finance with Friends of the Earth Scotland. The effective grassroots campaigning of Scottish communities, who have fought the Scottish government and unconventional gas companies, is an inspiring story for those across the UK and the rest of Europe.